CB - 1 Jan 1951, CBE - 1 Jan 1944, MiD - 1 Jan 1943, MiD - 2 Jun 1943. Plt Off: 20 Dec 1921, Fg Off: 20 Jun 1923, Flt Lt: 1 Jan 1928, Sqn Ldr:: 1 Jun 1936, Wg Cdr: 1 Apr 1939, (T) Gp Capt: 1 Sep 1941, Gp Capt (WS): 27 Oct 1943, Act A/Cdre: 27 Apr 1943, Gp Capt (WS): 27 Oct 1943, (T) A/Cdre: 1 Oct 1944, Gp Capt: 1 Dec 1944, A/Cdre: 1 Oct 1946, Act AVM: 15 Dec 1948, AVM: 1 Jan 1949. 20 Dec 1921: Supernumerary, RAF Depot. 7 Mar 1922: Pilot, No 27 Sqn. 12 Mar 1926: Supernumerary, RAF Depot. 15 Oct 1926: PA to AOC, Iraq Command. 27 Nov 1928: Attached, School of Army Co-operation. 21 Jan 1929: U/T, School of Army Co-operation. 8 Jul 1929: Flight Commander, No 13 Sqn. 7 Jan 1932: Air Staff, HQ Inland Area. 21 Jan 1933: Attended RAF Staff College. 16 Jan 1934: Air Staff, HQ Transjordan and Palestine. 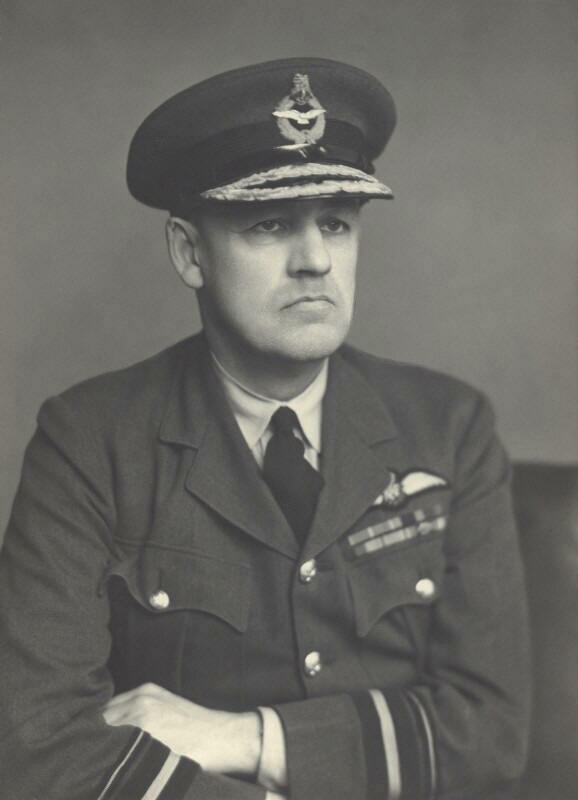 4 Dec 1936: Officer Commanding, No 208 Sqn. 3 Apr 1939: Senior Maintenance Staff Officer?, HQ No 41 (Maintenance) Group. 28 Oct 1940: SASO, HQ RAF in Northern Ireland. 18 May 1942: SASO, HQ No 4 Group. 28 Jul 1944: Air Staff (Plans), Air Command South-East Asia. 15 Dec 1948: Chief of Staff, HQ Air Forces Western Europe. 15 Sep 1951: AOC, No 3 Group. In the competitive selection tests for entry into Cranwell, held in 1919, he came in the top 10 with a score of 8,485. On 12 March 1923, he and his gunner, LAC Murphy, were captured by tribesmen but released later that same day. As SASO, No 4 Group, he often flew with crews of his group. On one such occasion on 2 August 1943, he flew as second pilot in Wellington of No 466 (RAAF) Squadron. Suffering an engine failure before reaching the target, they were forced to jettison their bomb load and return to base. Both the pilot and the Air Commodore had a struggle on their hands trying to maintain the Wellington in the air on one engine, but eventually they succeeded in landing the aircraft safely. Appointed the Commander designate for the air element of Operation Roger, the proposed invasion of Phuket, he was unable to take up this post owing to the Japanese surrender following the dropping of the two A-bombs. It was announced that he would assume the post of Vice Chief of the Air Staff from September 1953 in the rank of Air Marshal. However, shortly before taking up his new appointment, he was killed. At the time he had been undertaking a jet conversion course at the Bomber Command Jet Conversion Flight, RAF Coningsby and as part of this was carrying out a solo exercise in a Meteor. Near Stafford his aircraft was seen to suddenly turn and dive into a haystack, the haystack was set alight, the aircraft disintegrated and AVM Brook was killed instantly. The coroner returned a verdict of death by misadventure as no technical fault could be found, but was he possibly a victim of the Meteor’s design fault, subsequently discovered to be the cause of a number of crashes throughout it’s service career.